The Democratic Republic of Congo (DRC), lying pretty much in the centre of Africa, is geographically the eleventh-biggest country in the world and is well known for its mineral riches. 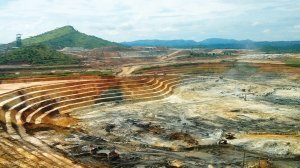 In its most recent report, published in 2014 and titled ‘The Mineral Industry of Congo (Kinshasa)’, the US Geological Survey (USGS) notes that the country “played a globally significant role in the world’s production of cobalt, copper, diamonds, tantalum and tin”. In 2014, the country’s share of the world’s mined cobalt production amounted to 51%; tantalum, 17%; diamonds, 13%; copper, 6%; refined cobalt, nearly 4%; and tin, 2% . . . [It] accounted for about 47% of the world’s cobalt reserves.” The country is also believed to have rich deposits of gold, potash and zinc. 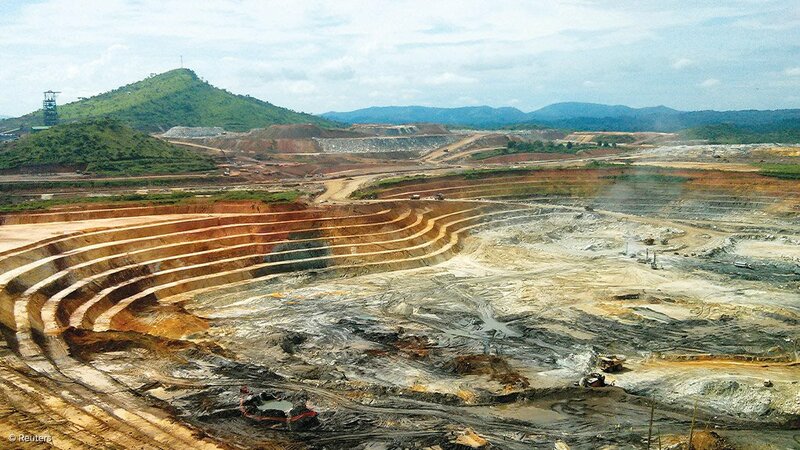 In 2013, mining and mineral processing accounted for 20.9% of the DRC’s gross domestic product (GDP), while the manufacturing sector was responsible for 22%. Copper mining alone was responsible for 13.5% of GDP, while cobalt mining accounted for 5%, quarrying 2.9% and diamonds 0.8%. Also in 2013, copper accounted for 68% of the country’s official exports, cobalt for 17%, diamonds for 2% and gold for 1%. Other mineral exports from the DRC noted by the USGS included germanium, niobium, tantalum, tin, tourmaline and tungsten. During 2014, 86% of the copper exported had been refined in the DRC; the figure for cobalt was 5%. Unfortunately, the DRC has experienced considerable misgovernment and oppression, with concomitant instability, insecurity and violence, sometimes reaching the level of civil war. In the 1870s and 1880s, the territories and kingdoms which now make up the DRC were conquered and annexed by forces acting for the then king of the Belgians, Leopold II, who was acting in his private capacity and not on behalf of the Belgian State or people. He ran the conquered territories, formalised as the Congo Free State in 1885, as a private fiefdom. His agents sought to extract the maximum economic value from the Congo, in the process behaving with great brutality towards the local people, many of whom were killed. These atrocities caused the Belgian State to annexe the country in 1908 and end Leopold’s reign of terror, but the system remained authoritarian (if now paternalistic) and no attempt was made to develop a modern local elite. Large companies enjoyed large-scale concessions to exploit natural resources, including rubber, as well as minerals and metals. The mining industry was originally centred on the province (now region) of Katanga, in the south-east of the country, and dominated by the Union Minière du Haut Katanga (better known as Union Minière). Belgium tried to ignore the post-Second World War global wave of decolonisation, and Brussels did nothing to prepare the Congo for independence – apparently, it was not until 1954 that the first Congolese national was admitted to a university! Until then, tertiary education for the Congolese was restricted to studying in seminaries for the priesthood. On the country’s attainment of independence in 1960, only 16 Congolese had graduated from university and there were no Congolese doctors or engineers. Belgium’s sudden switch from opposing Congolese independence to rushing it through was caused by the outbreak of serious nationalist riots in the then Leopoldville (now Kinshasa) in January 1959, which rapidly spread across the country. The Congo became independent on June 30, 1960. On July 5, the Congolese National Army mutinied, in protest against the fact that there were no black Congolese officers. This mutiny triggered a collapse of government authority and instituted years of chaos, violence, assassination, civil war, an attempted secession by the mineral-rich Katanga province and foreign intervention – including by the United Nations (UN) at the request of the beleaguered Congolese government. This period of conflict was, and is, known simply as the Congo Crisis. After successfully defeating the secessionist forces, the UN troops were withdrawn in 1964. This period finally came to an end with a coup by General Joseph-Désiré Mobutu (who later renamed himself Mobutu Sese Seko) in 1965. Mobutu restored peace and stability. In 1966, he nationalised all mining and mineral rights and, in 1967, did the same to Union Minière, which was subsequently renamed Gécamines. In 1971, he renamed the country Zaire; in 1973, he nationalised all economic assets in the country that were held by foreigners. The economic consequences were severe and, in 1975, he decreed that the former owners could recover 60% of the shares of their expropriated companies. However, very few took up the offer. Regarding mining, this sector was as good as closed to foreign investors. Over the years, Mobutu evolved into a most brutal and incredibly corrupt dictator, encouraging patronage and corruption throughout government and the civil service. State-owned companies were looted on a grand scale, and even the biggest of them, Gécamines, was so thoroughly pillaged that it was effectively brought to its knees. While the country managed, for example, to maintain average yearly copper production of about 500 000 t in the 1980s, a decade later, the average figure was just 30 000 t/y. Infrastructure, in general, was terribly neglected and crumbled away. Foreign debt soared from about $2-billion in 1976 to more than $13-billion around 1997. The economy was wrecked. An insurrection in the east of the country, which erupted in 1996, led to the overthrow of Mobutu in May 1997 (he died in exile about four months later). The rebel leader, Laurent-Désiré Kabila, became President and immediately renamed the country the DRC, its original independence name. Unfortunately, this did not mean peace was restored. War erupted again in 1998. There was international intervention, including by the UN. This conflict formally ended in 2003. Although most of the country has since been largely peaceful and relatively stable, conflict has continued in the east of the DRC and large UN forces remain deployed in the country. Further, there has been a series of outbreaks of the dreaded and deadly Ebola viral disease, also in the east of the country. One of the consequences of this record of decades of oppression, exploitation, violence, State-supported criminality and economic collapse was the development of widespread illegal artisanal mining. This emerged at least as far back as the 1980s; originally focused on diamonds, it subsequently also embraced gold and even copper and cobalt. In the DRC, rich copper oxide and cobalt oxide ores can be found exposed on the surface. Also mined artisanally is columbite-tantalite (coltan). Artisanal miners are often ‘taxed’ by rebel groups and even government army units, and their output is almost always smuggled out of the country. In 2016, the World Bank estimated that some 450 000 people were involved in artisanal diamond mining – 200 000 in artisanal gold mining and another 200 000 in artisanal copper mining. The USGS estimated the number of artisanal diamond miners in 2014 at 800 000. 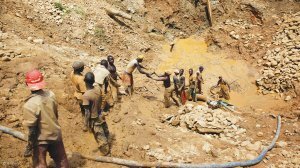 Other sources indicate that the total number of artisanal miners in the country, across all mining sectors, could be two-million. With the accession to power of Kabila, foreign investment began to return to the DRC mining sector, but much of that investment seems to have been opaque and made by people close to Kabila. In 2001, Kabila was assassinated and replaced by his son, Joseph Kabila. The new President moved fast to reactivate the country’s formal mining sector. In 2002, a new mining code that sought to encourage private investment in the sector was promulgated. It gave government, which retained ownership of mineral rights, the primary role of encouraging and developing the industry. It brought about contract stability for ten years and provided for attractive royalty and tax rates. The code undoubtedly succeeded in its objective, attracting large mining investments to the country. Of the $8-billion in foreign investment received by the country in the period 2009 to 2012, most went into mining; $3.3-billion was invested in the DRC in 2012 alone. These developments took place against a political background which saw the development of a new national Constitution, approved by a referendum at the end of 2005, which established a semi-Presidential system with both a President and a Prime Minister. This was followed by elections in 2006, which, according to the US-based Carter Center, was characterised by “many flaws” and “significant irregularities”; however, the centre judged the final outcome to be “credible”. Joseph Kabila won the Presidential election and was re-elected in the 2011 elections, which displayed all the flaws of the 2006 elections; but worse, the Carter Center opined that the 2011 elections “lacked credibility”, while the Catholic Church denounced chaos, violence and irregularities in the election process. Nevertheless, Kabila remained in power. By 2013, there were at least 31 foreign mining companies operating in the country, as well as some 29 local ones (at least some of the latter with significant foreign shareholdings). In 2016, the DRC Chamber of Mines estimated formal mining employment in the country at 375 000. Given five dependants per employee, this meant 1.88-million Congolese were supported by formal mining. Applying the same ratio to artisanal mining would mean that that sector supported up to ten-million people, which means mining could be the basis for the livelihoods of close to 12-million people, out of a population of roughly 86-million. In 2018, Africa Mining IQ reported that it was tracking nearly 100 mining projects in the DRC “across all stages of development”. But, in 2014, the DRC government proposed a new mining code to replace the 2002 version. 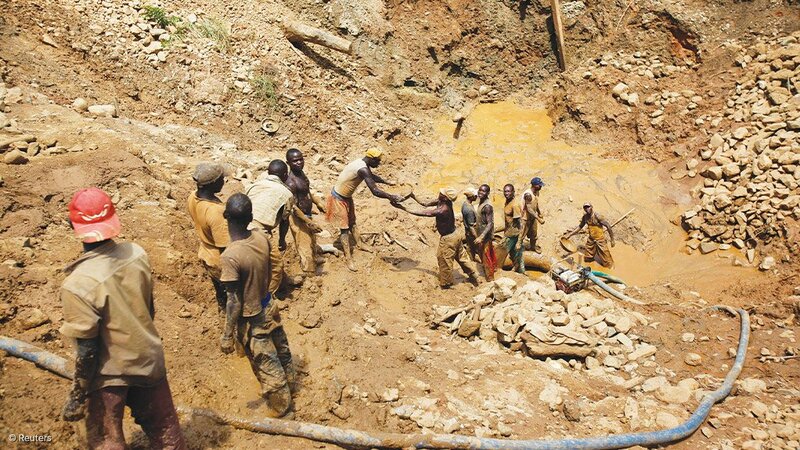 This was seen as a swing towards resource nationalism and the proposed code was met with strong objections from mining-sector role-players, who feared and still fear that the changes in the code could have results that would threaten the profitability of their DRC operations. Their protests were to no avail; the DRC Parliament passed the new mining code in March last year and it was signed into law in June. Major changes were ushered in by the new code. These include increasing the royalties on gold and other precious metals from 2.5% to 3.5%; increasing the royalties on nonferrous or base metals from 2% to 3.5%; and increasing the royalties on cobalt from 2% to 10%, if it is designated a strategic substance. Another important change has increased the State’s free share in mining projects from 5% to 10%, while the period of guaranteed contract stability has been cut in half, from ten years to five years. A new ‘super profits’ tax of 50% has been established, super profits being defined as the profits made when a commodity’s price rises 25% above the price stated in the mining project’s bankable feasibility study. The next elections (after 2011) should have been held by December 2016, when Kabila’s second and final term legally came to an end, but they were not. In the end, the general elections were finally held in December last year, with Kabila not standing. Again, the elections were marred by irregularities, chaos and violence. Pro-Kabila parties won the majority of seats in the National Assembly, but opposition politician Félix Tshisekedi won the Presidency, although many observers thought that another opposition candidate, Martin Fayulu, had actually won. Kabila’s preferred candidate came a poor third. There has been considerable speculation that Kabila did a secret deal with Tshisekedi to keep out the more aggressively anti-Kabila Fayulu. 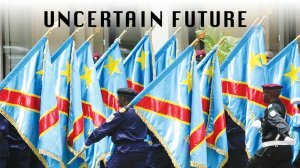 Tshisekedi’s inauguration on January 24 marked the first peaceful transition of power in the DRC for 60 years. In his campaign, he promised to bring down poverty, achieve peace and establish free education and healthcare, as well as fight the still-rampant corruption. As far as the mining industry is concerned, Tshisekedi is an unknown factor. His party, the Union for Democracy and Social Progress, has traditionally supported a stronger State role in mining, but, while campaigning, he said he would re-examine the 2018 mining code. However, with their majority in the National Assembly, the pro-Kabila political parties have the right to choose the Prime Minister. And some observers believe that the increased taxes and royalties that have been imposed on the mining companies are too popular to be reversed. The DRC remains one of the tougher places for miners to work in.